A graduate of Furman University and founding member of the electric violin duo Synergy Twins, Stephen Neil is best known for his role in pioneering the classical crossover violin movement. He has performed for notable celebrities and public figures including Michael Jordan, Gary Player, Kathy Lee, Florence Henderson, Darla Moore, and the list goes on. His most notable public performances include being featured on NBC’s “Today”, recurring events with the NBA, major national festivals including Washington D.C.’s Capitol Pride and Greenville South Carolina’s Artisphere, as well as being featured in the Caribbean’s most notable music festival, Moonsplash. Neil maintains a busy schedule working with major entertainment corporations including Barry Ball Entertainment and East Coast Entertainment providing quality performances for galas, private functions, corporate events, and headline entertainment on Celebrity and other high echelon cruise lines. Local to Greenville, SC Neil routinely travels to Charlotte, NC, Charleston, SC, Asheville, NC and Atlanta, GA performing his high energy electric violin show. Co-arranger of music with twin brother Jeff Neil no genre is left untouched! Pulling from country and celtic to 80’s, 90’s, American top 40, dubstep and EDM, the brothers’ Neil deliver an incredible show. The duo have released two albums, “Synergy Twins” and “Fusion” as well as released a number of singles which have increasingly gained in popularity on iTunes and Spotify. For more information on upcoming shows please check out our tour page. Jeff started his musical career on viola in the public school system at age 9. He continued his studies at St. Olaf College earning a B.M. in Viola Performance in 2004 under the direction of Charles Gray. There he performed as the principal violist with the St. Olaf Orchestra as well as toured with the St. Olaf Choir conducted by Anton Armstrong. 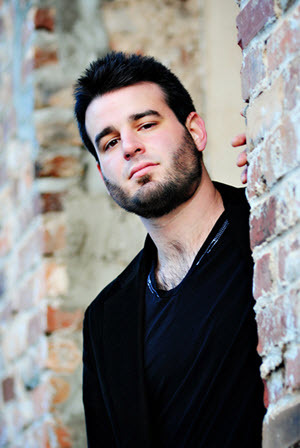 Continuing his education, Jeff received a full scholarship for his master’s degree, studying under Jonah Sirota with the Chiara String Quartet at the University of Nebraska-Lincoln. Winning an audition with Lincoln’s Symphony Orchestra his second year, he was also invited and studied with Roger Myers at the Central Conservatory in Beijing, China. 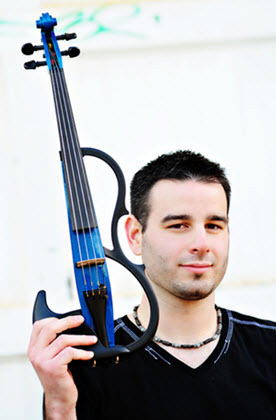 After performing in an international showcase hosted in 2013 in Poland, Jeff currently headlines on major cruise lines performing on a 5-stringed electric violin with his identical twin brother. Together they have performed all over the world in their high energy act, including NBC’s Today Show. He is excited to be expanding the act into a rock electric string quartet.